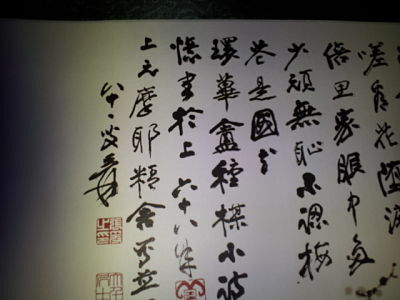 Hi!, I'm looking for signatures chinese books, to be able to identify seals and signatures in paintings, any advice for baying? any online source? thanks a lot! Lus, there are two good sources that are fairly easily available. One is by Victoria Contag and Wang Chi-ch'ien: "Seals of Chinese Painters and Collectors of the Ming and Qing Periods"; the 1968 edition and later reprints include a supplement of seals from works in major US collections as of the mid 1960s. The second source is Shanghai Museum, "Zhongguo shuhuajia yinjian kuanshi", in two volumes. There is a third set of books that covers the seals on paintings in the National Palace Museum, Taiwan, but fails to identify which seal is on what painting. Na Zhiliang was the editor of that series I believe but it's quite hard to find for sale. The challenge in using all of these works is that the seals are grouped by the name of the painter or collector, which is precisely the information we are seeking when we find a seal that we can't identify. Also note that none of these works is complete; they include only some of the artists' seals; some artists and collectors had hundreds. Finally note that they include the seals of major artists only. Other sources of seal impressions and their owners can be found in auction catalogs of recent years, which sometimes include images of seals on the works being auctioned, and Chinese publications that reproduce the works of individual painters' and often include an appendix showing some of the artist's seal marks. In other words, no easy answers. Thanks for your answer, not easy but answer at least! glad to help luis. there are also books that list artists' nicknames and supply their corresponding actual name. You can sometimes find the seal's owner by deciphering the legend on a seal and seeing if the nickname appears in and these books. One useful reference that includes a good index of nicknames is edited by Yu Jianhua and called "Zhongguo meishujia renming cidian". The most widely available books of artist names and nicknames are those compiled by Yang Tingfu and Yang Tongfu, one in 2 volumes on Ming artists, another in 2 volumes on Qing artists. All of these books are in Chinese though, there's little or nothing in English aside from Davison's books on the marks on porcelain. Thanks for tour info, I see there's enough information to look for,....the only problem is with the language! i'll check the sources you mention, thanks again! Luis, deciphering the signature and seals on a given picture is unfortunately not going to get you very far, because the number of fakes and copies of Chinese pictures far outnumbers the number of genuine works. Many come with the "signatures" and "seals" of famous painters attached in order to dupe the ignorant into parting with their money (cf a couple of pictures posted recently on this site, together with persuasive looking "supporting documentation"). On the positive side, for the moment relatively few of the many Chinese newcomers to collecting who are snapping up Chinese art have the connoisseurial skill to discriminate effectively between good/bad, fake/genuine, close copy/bad copy. Others simply buy indiscriminately in hopes of reselling at a higher price at home "the greater fool" theory. Knowing that a lot of the material available within China is questionable, they are scouring the globe for work taken out of China decades ago on the assumption that it must have a better chance of being genuine and that sellers are ignorant of its "true value". A book of chinese seals & signatures are worthless, because it does not a regesterd with trade mark! And chinese paintings are not a good investment to make. Alot of the famous chinese artists are worthless. Nothing special about their paintings, and nothing special about their art talents. It's just plain art, nothing special. And most of the famous chinese artist are made up!!! Chinese paintings are so easy copy by average artists, and it only seems that seals or signatures are the reason of it's worth. artist seals and collector seals, were not stamp with carvings made from sealstones. I have some chinese sealstones, when used chinese red ink. It did not look anything like the carving of sealstone. To smooth surface and ink also in area carved, and with little applyed pressure to paper. The image i get is a small block of red ink. In china, there are over 30,000 art painters. That make their living, selling their art paintings to tourists. There are no jobs for them, and hope that one day, they will be a famous chinese painter. Sorry to say, no way. Untill their artist sealstone will be 'trade mark'. And start a new book of chinese seals and signatures. The current books now, are worthless in anthenticity. know that painting with watercolor ink, is not a highly regarded art work. Very little control when ink is apply, ink thend to flow with applyed on paper. It's more like coloring than painting if you ask me, but alot of chinese people are very blind veiwing artworks. Maybe they are chinese, and can't accept that fact that chinese pantings in musuems, are all fakes. of artists, who are chinese picasso. hi Tom: I insist: may be you are right, I'm not an expert. there's an important reason for me in trying to identify signatures and seals, and it is because in my country we have an increasing number of chinese people visiting us, willing to but chinese paintings. I get paintings from my clients, but neither them nor me have any idea of the artista, then we don't know how much we should ask for, that's reason of my question, has nothing to do if it is great or not. Hi Tom, thanks for your answer. May be you are right in some points. i don't agree when you say they are worthless, because I am astonished with the incredible prices they are making in auctions, that has to do, I think, with this "art boom" in the rich China. i want to learn , thanks anyway! Well i am wrong about saying chinese paintings are worthless. And yes, there are chinese paintings that worth alot, but not millions of dollars. Thats why i say chinese paintings it is worthless and these are the paintings you see in major auctions and musuems. Did you know that the rich chinese people, who with auction houses. Can easily make any chinese artist's famous. It have done many times ago, and it involves all of the famous chinese artists. There are many old and famous (artists) chinese paintings in museums around the world and have the chinese artists. When at the time (mesuem) got those paintings. The musuem don't know who were those artists were, and it is impossible if they were famous. There are many chinese paintings in musuems that have the only painting by a famous chinese painter. How can the one chinese painter be so famous, if there is only one painting of his. Hardly anyone in his or her era. will know that artist. And after one century no one on earth had heard of that artist, so how can he be so famous. 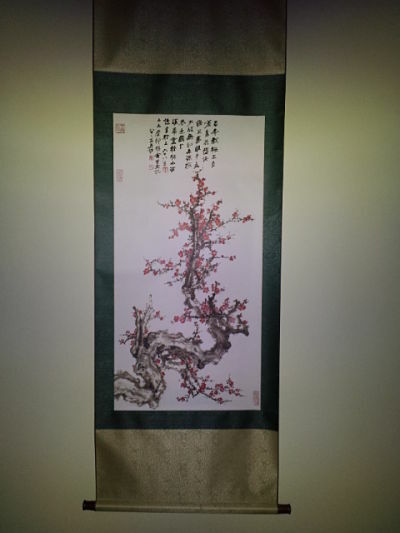 Also if you have chinese clients that like to buy chinese painting from you. I have to say they will not pay more than a hundred dollars on any of your paintings. I not being mean, i just don't want anyone to get scam. It is good to learn western art/style paintings, then compare it to chinese paintings. Because if anyone believe most chinese paintings are indeed artist paintings, then it is not a masterpiece, it is a miracle paintings. think about for. "MAKING MONEY"
I found by myself, that fakes outnumbers any kind of art, :chinese, european, southamerican, etc. Let's say: when somebody realize that a painter name can be a big businness....teh start to copy it. About Chang da Chien, that you mention, I red that he presented her daughter with plenty of paintings dedicated, and she run an exhibition. I can accept teh market is full of fakes, but it's hard to believe for me there are only two paintings that survived. In my personal oppinion, or "taste", I prefer very much european art, but, as I wrote you, I have several chinese clients trying to buy everything they find, just that. The reason for learning a little bit it is just for knowing what I am offering to them. Anyway, I don't know if you ever dealt with chinese people, but it's very difficult that they are going to pay without knowing what they buy. They take pictures first, they send them to their appraisal in their country, and then they decide. Now...if auction houses knpw what they say, I have really no idea! My goodness! It's so very hard to do any research, even in this age of tecnology! I found a Chang Da-chien scroll. 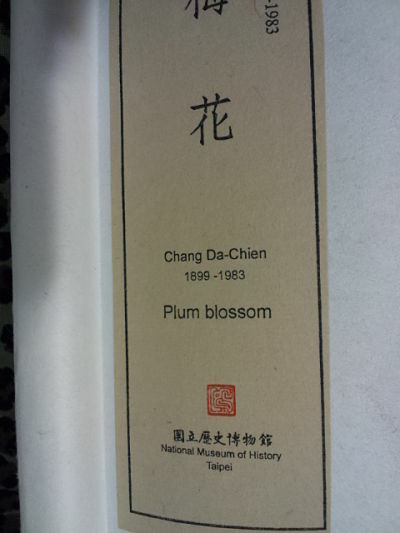 Called Plum Blossom. It looks very "authentic" and has a museum of history (Taipei) tag. Can you point me in the right direction? I will be most grateful! 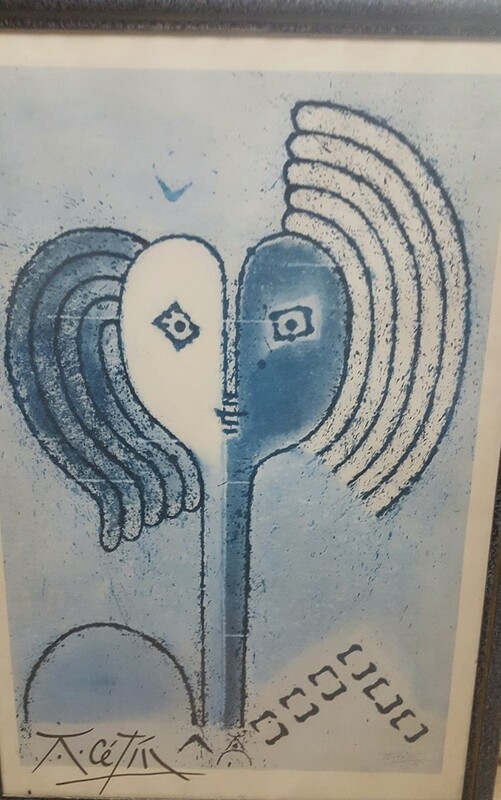 probably a reproduction, post a picture and we can try to figure it out. there are LOTS of Zhang fakes out there; there are also lots of Zhang originals. Well thank you for the response. i can not believe the rabbit hole I have fallen into! I've fallen in love with art all over again. I don't think a picture will do it justice. It's a pretty big piece (5ft 7 inches long). It has 3 large red seals and 3 smaller red ones along the colophon. The thing that makes me go hmmm?? is the Museum of Natural History label (Taipei). It's written in chinese and english. At first I thought maybe the scroll came from a restaurant or institution, because of it's size. I don't think it was sold, say, from the museum gift shop either...again, the size. I've become obcessed with the history. Simply amazing! Yes, Chang Dai-Chien, AKA Tai-chien or Zhang Daqian was a known forger. Still, he has masterpieces worth millions/priceless. And a known forgery can be worth thousands. He was said to have sold/traded many of his works. Only 5,000 out of his 30,000 pieces are accounted for. later in life, He was commissioned to do a huge piece for a hotel, Said to have been the death of him. Whatever I have, it feels to be quality. The paper is grainy, and the custom matting is impeccable. Luckily, I have one large enough wall to display it properly. Although I am fasinated and somewhat lost in the research, I think my first job is to track down this label. But I'm not having any luck with the Museums websites. Any ideas, comments or suggestions are greatly appreciated!! Yeah...that's what I kinda thought too. I think the size of it made me think that maybe it was used 'promotionally"...as advertisement for that exhibit perhaps. I've been to many, MANY sites, I've checked out on-line museum gift shops...with no luck. I can't find this exact piece anywhere. I'm gonna give the old library a try tomorrow. The hunt is on! LOL.. Thank you for you're input and time, much appreciated! post photos here; perhaps someone will recognize something about it. OK...I'll post a picture...but give me a day. Gotta find and then charge up the old camera. My phone takes crappy pictures. What's intriguing, I can't find any pictures of it anywhere. And it doesn't feel or look like a standard print..it has texture. Hopefully, someone will recognize it. I'll post soon. Here are the pictures, tell me what you think ! i would do more research if i were u. the zhang daqian painted in that size are of most quality, compared to the much smaller & much less quality ones. then again not everyone will tell u that. Thanks! I most certainly will continue the research...(like I have a choice???)..lol. I appreciate the kudos and I enjoy your website. I'll let ya know if I find anything substantial. Sorry Melissa, All the info I have I also found on the internet. Good luck in your quest. You have the same request as I do. I have a painting with an Asian seal in it. Seems to be a mystery.